The 2018 season gets underway on Saturday April 7th with the sixth edition of the South Downs Way 50. 400 runners are expected to line up , each with the goal of making it to the track in Eastbourne for their glory lap to finish within the 13 hour maximum cut off. On paper, this is our fastest 50. With course records that have held firm for a number of years now. Victor Mounds astonishing 5:53 in which he led from the gun in time trial fashion has been seemingly untouchable since. During 2016 and 2017, nobody came within 30 minutes of his course record. For the ladies, our Centurion Ultra Team star Edwina Sutton still holds the course best of 7:09 from back in 2014. If ever there was a starting field capable of threatening such seemingly rock solid records, it could perhaps be this however. Sarah Morwood: Sarah holds the second fastest time on this course, with a 7:19 back in 2014. Between 2013 and 2015 she also won a whole host of other events. Some of her accolades include wins at SDW100, Cotswold Way Century, Autumn 100, Thames Path 100, Race to the Stones, 24 heures de Pleuren and many others. Subsequent to that she has endured a rollercoaster ride, having had a major bike accident in early 2016 she quite literally had to start again. 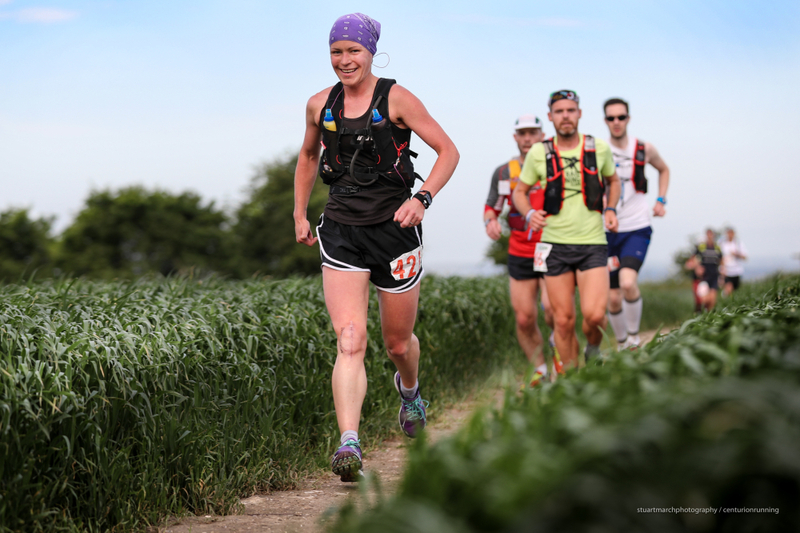 In 2017 she came back stronger than ever, winning the SDW100 for a second time and picking up victories at Eco Trail Oslo 80km and Dartmoor 50 before going on to a top ten finish at Spartathlon and then the icing on the cake, re-selection for the GB Trail Team where she will represent her country in Portugal in May. Already in 2018 she has turned in a 7th place at the Hong Kong 100km against a world class field. Whilst this is a stepping stone event on to the Champs, she will certainly want to stamp her mark here. For more info on Sarah's story, here is a link to the British Ultrarunning Podcast Episode featuring an interview with her. Kim Cavill: It is great to see Kim making it down to race one of our events. Those who are familiar with the Hardmoors and Lakeland scenes further north will recognise Kim's name. In recent years she has won the Hardmoors 55 and last year took 2nd in the Lakeland 50 in a superb time of 8:57. Annabelle Stearns: Annabelle is a super experienced ultrarunner with a really impressive level of consistency that spans the last decade. Past winner of races such as London to Brighton (Trail), Al Andalus, Druids Challenge and our North Downs Way 50, she has actually improved signifcantly at the longer stuff in recent years. She has a best on this course of 7:46 for 4th in 2014 which puts her 7th on the all time list and two 2nd place finishes in the SDW100 from the last three years. She obviously loves this trail! Charley Jennings: Charley is our reigning 50 mile Slam record holder with a cumulative time of 37:30 for the four events set last year, where she took 12th, 3rd, 2nd and 7th in each of the four races. It will be great to see her try to step it up again in 2018. Alex Coomber: 2nd here in 2015 with a 7:53 and a 3rd place at the NDW50 a year later put Alex well in contention for a top ten finish here. Mandy Regenass: Mandy took home 2nd place here last year in a time of 7:54, winning her Age Category in the process. She recorded a string of top 5 finishes in ultras ranging from 50km to 50 miles in 2015 and it's clear she could well be in contention again here albeit against what on paper looks to be a deeper field than the 2017 event. Christine Howard: Whilst Christine may not have the raw speed to challenge for top honours she will be pushing for a top 10 here. 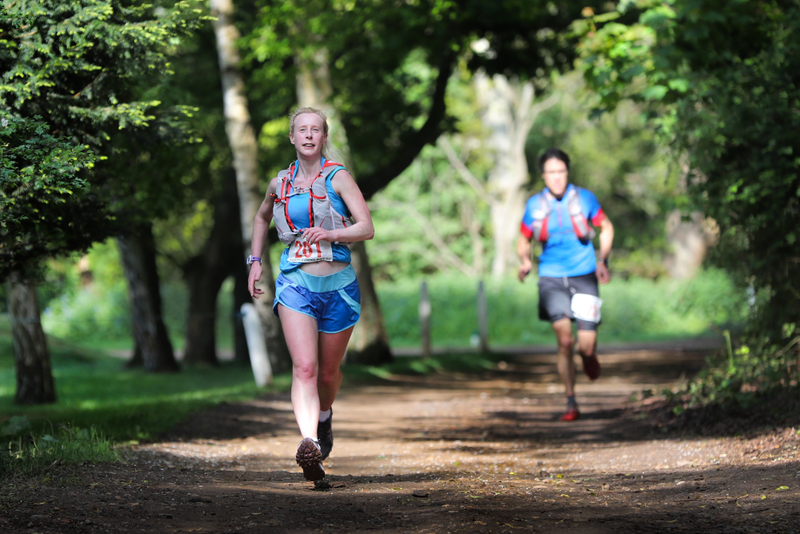 With a best of 6th in this event back in 2013, the inaugural race, she has gone on to win the Downslink Ultra as well as second at the 2016 Chiltern Wonderland 50 and 4th at the Stour Valley Path 100km. Tom Evans: If ever there seemed to be a clear favourite coming in to an event, it would be here. Tom Evans burst on to the scene in late 2016 and in 2017 established himself as a world class athlete. With a 3rd in the MDS, a 4th at the Eiger 101 and then a 4th at CCC in August, Tom immediately put UK mens ultrarunning back on the international map. With seemingly little experience at the long stuff, he has seemed to just step in to the role. Recently signing to Hoka One One and becoming a full time athlete will hopefully allow Tom to go on to take things to an even higher level in the future. This race, much as in the case of Sarah in the womens, is a stepping stone to his first outing in a GB national vest at the Trail World Champs in May. But after his win at the The Coastal Challenge in February where he bested CCC 2017 Champion Hayden Hawks by a scant four minutes, it's clear that there is no such thing as a training race for Tom. He will want to run his best on what is truly his home turf, having grown up in Eastbourne. It will be truly exciting to see what he can deliver here. For more info on Toms story, here is a link to the British Ultrarunning Podcast Episode featuring an interview with him. Ian Hammett: Ian came on to the scene a few years ago and has built up a solid and consistent resume since. A fast road marathon has meant he has brought a good pace to his trail running and amongst his best results was a 3rd at this event last year in 6:49. Along the way he's also run home 2nd in a sub 16 hour time at the SDW100 and taken home victories in the Wall and the SVP100km. Last year he also completed Spartathlon in 28:36 proving he can go in to the super long too. Warwick Gooch: In 2016, Warwick set a new 50 Slam record with 9th, 4th, 4th and 6th in the four events. 9th at the SDW50 in a time of 7:24 is hopefully something he can improve on this time. His year so far contained an excellent 9th placed finish at the 100 mile Arc of Attrition so we will see how his recovery has gone here. Nick Greene: Nick has an incredibly consistent record on this course which he will be looking to continue here with 4th, 5th, 6th and 7th places in years gone by. With a best of 7:03 he will surely be looking to crack the 7 hour barrier this time out. Alistair Palmer: 8th here last year before going on to 7th place at the NDW50 and WW50 it will be interesting to see if he can step it up here to compete for a top 5 against the bigger starting field. Tommasso Migliu: Tommasso looks to be somewhat of a wild card, simply because this race falls on the lower end of the difficulty spectrum and the higher end of the pace spectrum that what he seems to be used to. His resume includes some extremely impressive results such as 5th at the V3K, 6th at Lakes Sky Ultra and 2nd at the Brecon Beacons 10 Peaks short, so hopefully he can turn his rugged mountain pace in to some flatter faster pace to challenge here. Follow the race online at the website here on race day.